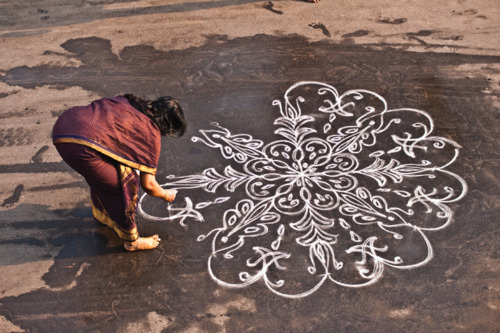 This entry was posted in Commentary and tagged Cross-cultural communication, Cultural Detective, cultural iceberg, current events from an intercultural perspective, Devdutt Pattanaik, global business effectiveness, Hindu, iceberg of culture, India, Indian culture, Intercultural Communication, intercultural competence, kolam, metaphors of culture, rangoli by Dianne Hofner Saphiere. Bookmark the permalink. Wonderful presentation! Worth every minute of viewing. I agree, Ana. Thank you for letting us know! Hi Dianne – wow that was wonderful! My mind was just spinning (in chaos or patterns?!) with questions and applications for this video. Thanks for sharing! So glad, Jill. I wasn’t familiar with him until this video, but it’s marvelous stuff. Sunita is a font of good expertise and she shares so generously. Creating insight is like sending an invitation to share trust with people we don’t know yet, though who are crossing our way or walking on common paths with a different, belief, view point and style. As usual a wonderful speech from Mr Pattnaik. More personal comment on the Cultural Detective page. “Devdatt Pattnaik’s speech is once again powerful and peaceful and the message he shares clearly made me think of how damaging our own lack of insight is and how it may harm other people’s feeling (and vice versa). As we live in a fast changing world with crucial humanitarian issues we absolutely need to re-consider our own realities before telling other how things should be. Ultimately we have a single common interest: living and enjoying living in the same “garden”. Your words hit a wise truth for me. Thank you for sharing! The role of the facilitator is so crucial, and powerful in ways we can too easily underestimate.